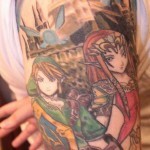 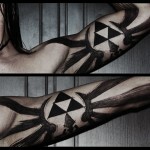 If there is one thing I can’t get enough of, it is well done gaming tattoos. 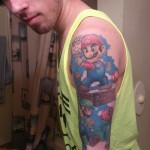 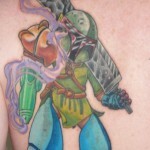 Of all of the amazing gaming tattoos I have posted here in the past, I think this one might just be my favorite or at least it is very close. 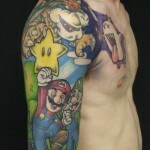 Sadly, I don’t know who this guy is or who the tattoo artist is that made this fantastic work of gaming art, but it is definitely amazing. 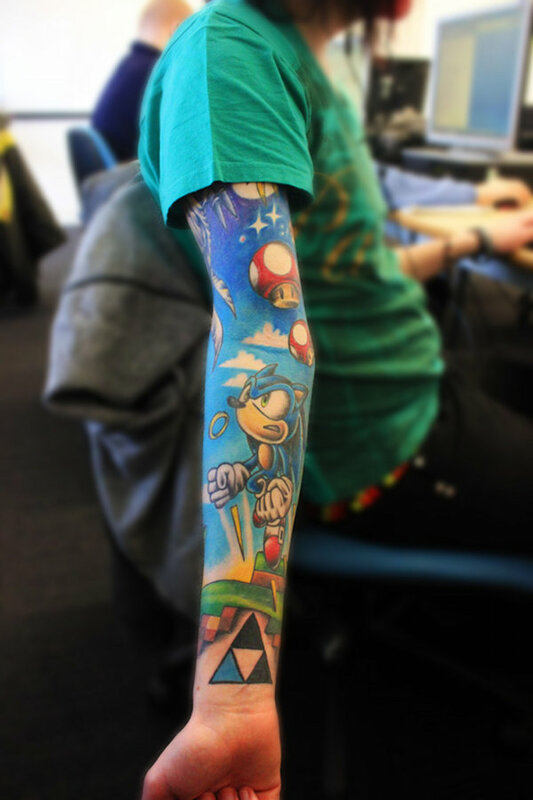 Between the Super Mario Bros mushrooms, giant Sonic the Hedgehog and Legend of Zelda Triforce at the end, what’s not to love with this gaming full sleeve tattoo!